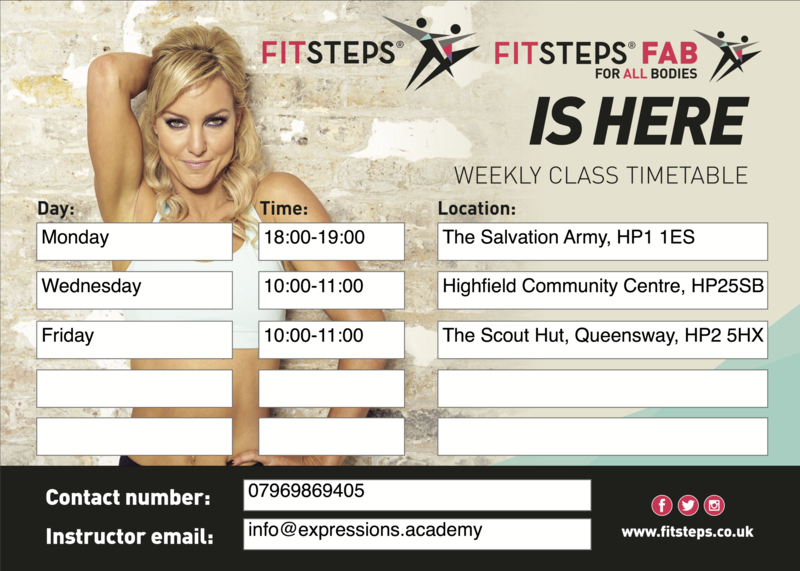 FitSteps® takes the very best of Ballroom and Latin, mixes it with the latest, proven ways to get fit FAST and delivers the most exciting, fun, fabulous fitness experience you’ve ever had. It will be teaching technique, the basic Waltz, the basic Cha Cha rhythm so at the end of a 45-minute class you’ll have learned The Waltz, Tango, Quickstep, Jive, Paso Doble, Charleston and you don’t have to have a partner; anyone can go! We will be working on core, toning, conditioning, cardiovascular, flexibility – everything. Within each class, it’s a whole body workout! £6 weekly, half term paid upfront. TASTER SESSION AVAILABLE- Come along and try, if you don’t like it then you will not need to pay for that session. If you want to come back, you will need pay for the half term of lessons including the trial one.